You want to know where your freight is and when it is going to arrive at its destination. We totally understand that at Freightview and want to make tracking your shipment easy and accurate. 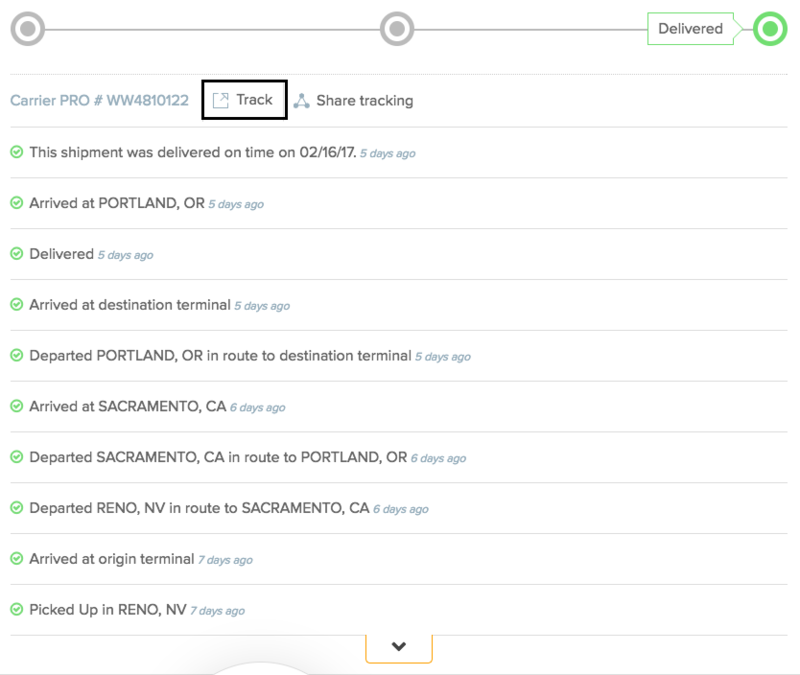 Can I track my shipments directly through Freightview? If a carrier has tracking capabilities on their website we pull that information in the Freightview platform. If a shipment is pre-PROed in Freightview you shouldn’t have to change or enter any information into the site. However, if the PRO is not initially assigned or the driver slaps a new sticker over a pre-PROed shipment you will need to change the PRO in Freightview. You can also click the track button and go directly to the carrier’s tracking page. You can have above the timestamps (6 days ago, etc) to see the actual date and time the action was completed. A PRO number is what most LTL carriers use to allow you to track shipments. Some shipments can be tracked by BOL number, pickup number, or a variety of other reference numbers. A PRO number is typically 7-10 digits long and may contain a check digit at the end that allows different parties to be able to verify a barcode's integrity. Educate your driver: be sure to let your carrier know that your shipment is already PROed, and that it is indeed their assigned PRO. If the driver re-PROs anyway check here for further instructions. Utilize the carrier BOL: Freightview offers up our own BOLs for your use, however, it may be easier for your driver to recognize a PRO already exists if you present them with the BOL that they are used to, at least at first. After your driver is up to speed, try Freightview’s BOL. Utilize Freightview labels: You can print your very only labels for every shipment through Freightview. If you already have a pre-PROed label on your shipment it may be easier to educate your driver and prevent them from trying to re-label your shipment. It can sometimes be a difficult to see the PRO #s on smaller labels, so keep that in mind. Loop in everyone from the beginning! 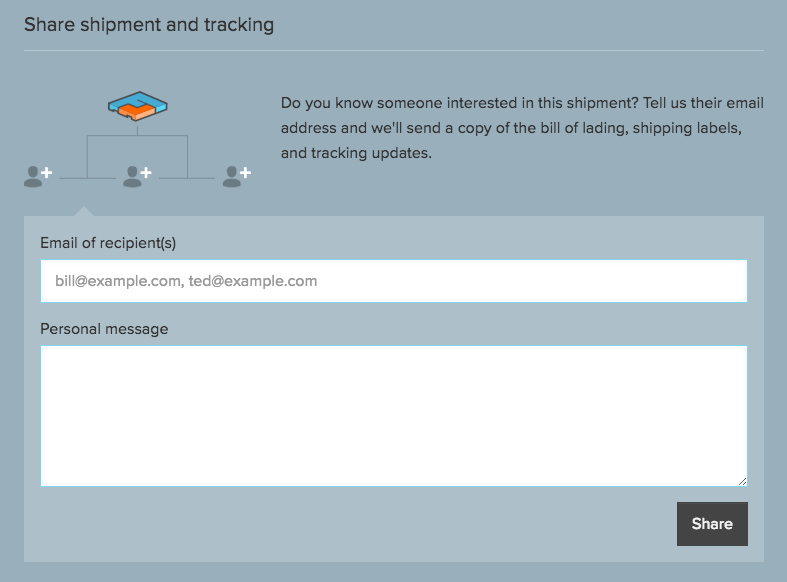 You can add key players to receive shipping information when you book a shipment. This is a good way to keep your customer, salespeople, or anyone else with interest informed on where your shipment is. Adding a follower is simple, and we won’t show followers your freight cost. Quote, book, tender, and track your freight all in one place with Freightview. Try us for free.